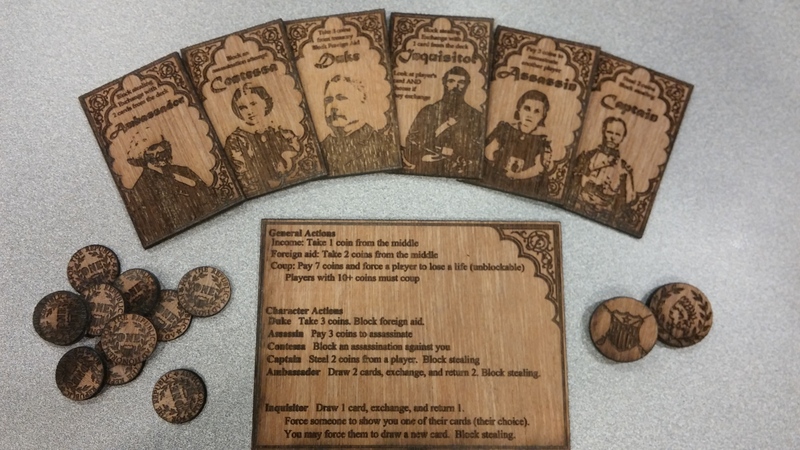 So, I recently learned how to use the laser cutter. I wanted to see the limits of its capabilities, and so I focused on how well I could engrave a photo using the laser cutter. My wife is into board games, and we had just learned one called Coup. So I set out to make my own version, since this would let me see how well the laser could engrave. I decided on a cat-themed version. 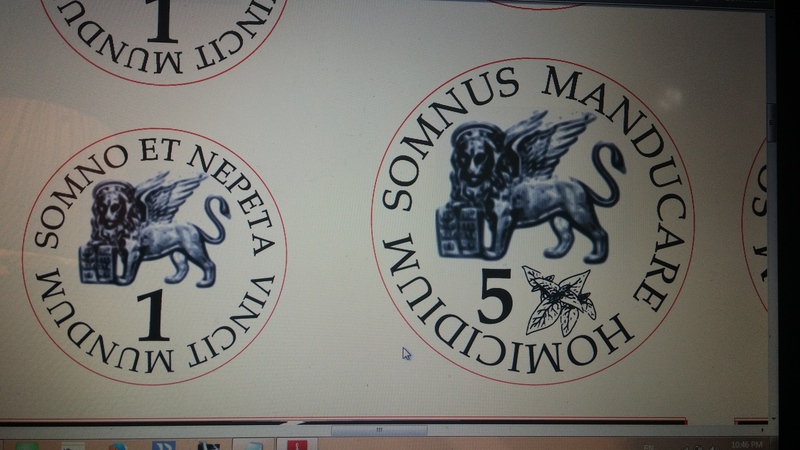 I used GIMP and Inkscape to re-purpose an old Italian coin design of a winged lion. I even made up Latin phrases that mean “Sleep and catnip conquer the world” and “Sleep, eat, murder”. I used Google translate, so I’m not all that certain these are grammatically correct. Well, after my first run, I found that the laser cutter does not engrave gradients in wood very well. It all turns out black, since this is really the only shade of burnt wood. For my second iteration, I switched to an American Civil war theme, using portraits from that time period. I used Inkscape to convert these into black and white vector images. This time, the high contrast turned out really well, even on red-tinted wood. In all, I made about 4 major revisions to my master files to make sure the pieces cut in one go. I ended up making several copies of my version and sending it out for Christmas gifts.